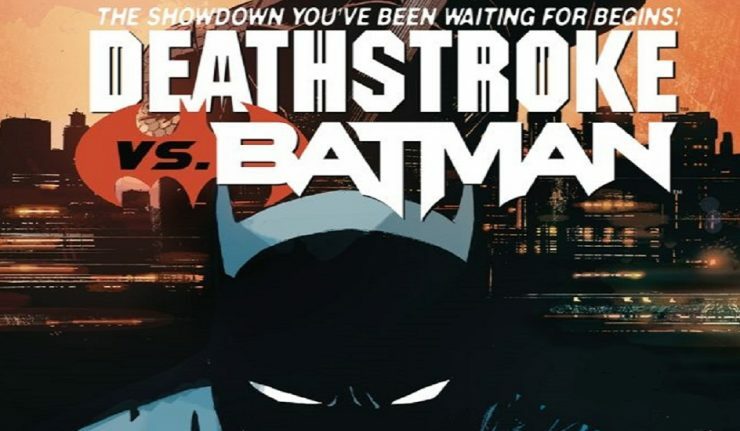 Deathstroke Vs. Batman is officially arriving in April 2018. DC Comics officially announced this Blockbuster event this wek, and fans all over the world, including yours truly, are literally chomping at the bit. Slade Wilson – A.K.A. 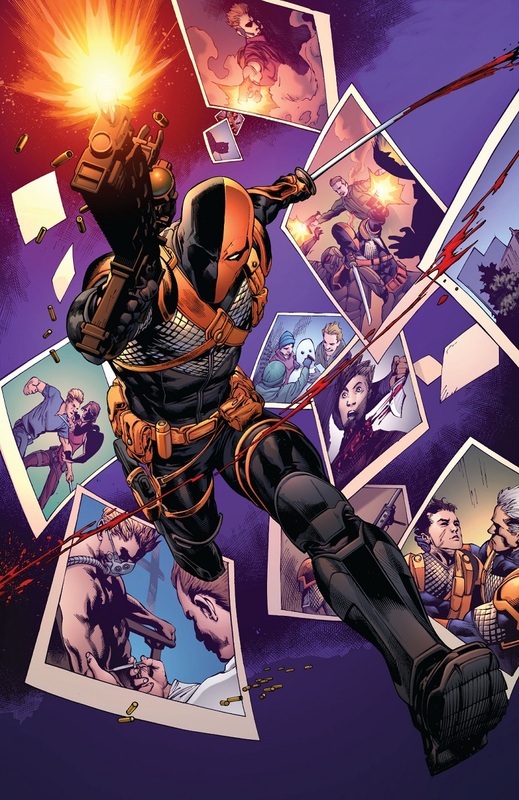 Deathstroke The Terminator – is one of the greatest anti-heroes in comics. He is the inspiration for Marvel’s Deadpool(Wade Wilson), one of the greatest assassins in the DC Universe, and one of the few characters to have ever bested Batman (albeit temporarily) in hand-to-hand combat. 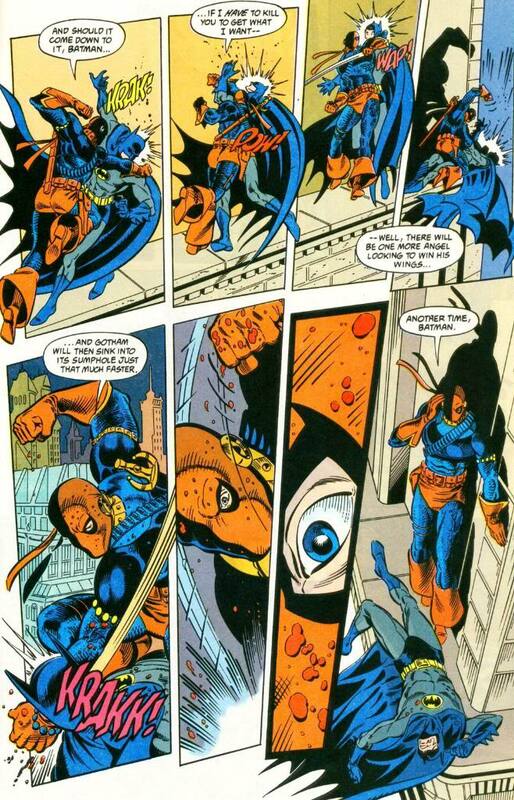 Created by comics legends Marv Wolfman and George Pérez, Deathstroke first appeared in The New Teen Titans (vol. 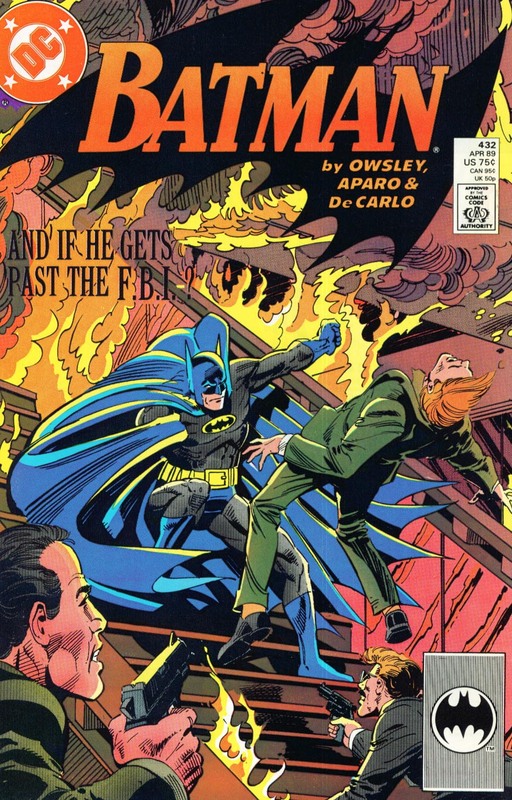 1) #2 (1980). He is notorious for having Terra infiltrate the team from within, almost destroying them in the process. 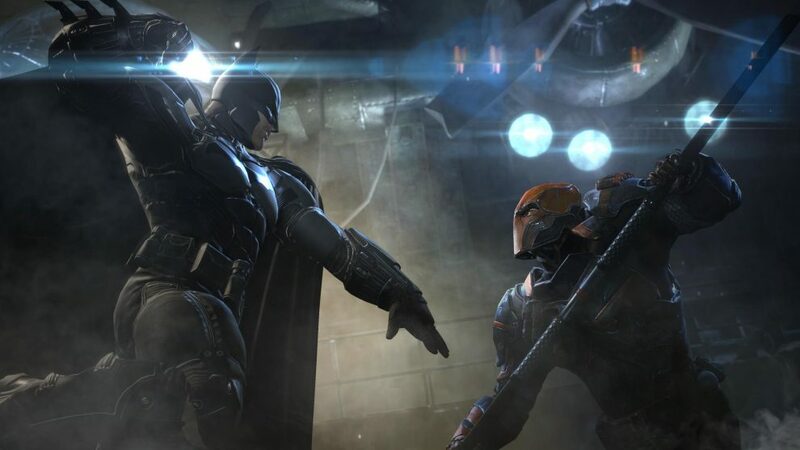 He has tussled with Batman numerous times over the years, but there has never been a clear winner. If I need to tell you who the Batman is, then you’re probably on the wrong website. Just as exciting as the characters starring in the book, are the talents behind it. Comics veteran Priest (The author formerly known as Jim/James Owsley and/or Christopher J. Priest) is writing the story, with art by Carlo Pagulayan. 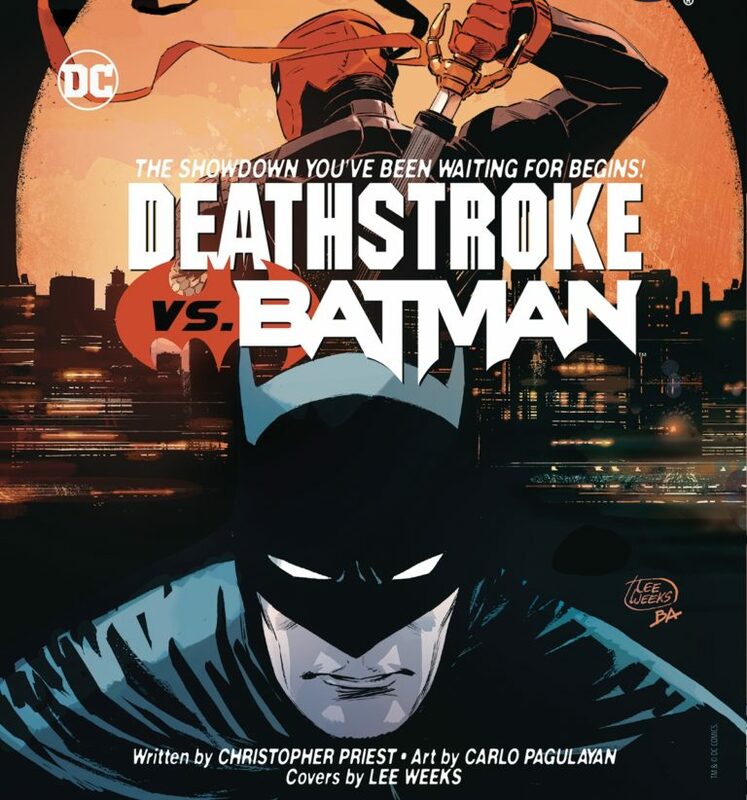 Fans who read Deathstroke‘s monthly title should instantly recognise these names, as these creators have been in charge of the title for over 18 months. Both gentlemen are no strangers to the Caped Crusader either. 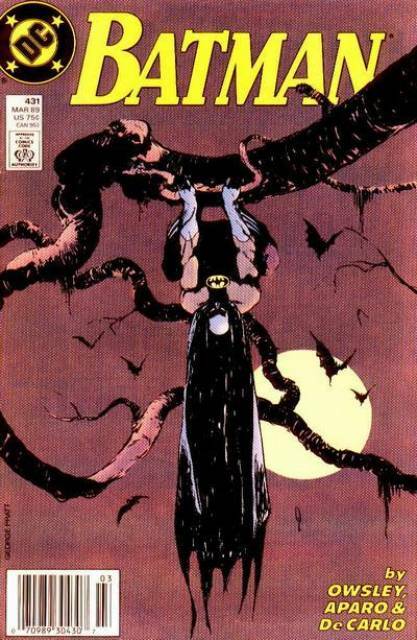 Priest has connections going back decades, to Batman Annual #13 and a terrific two part story in Batman #431 and #432 (1989). 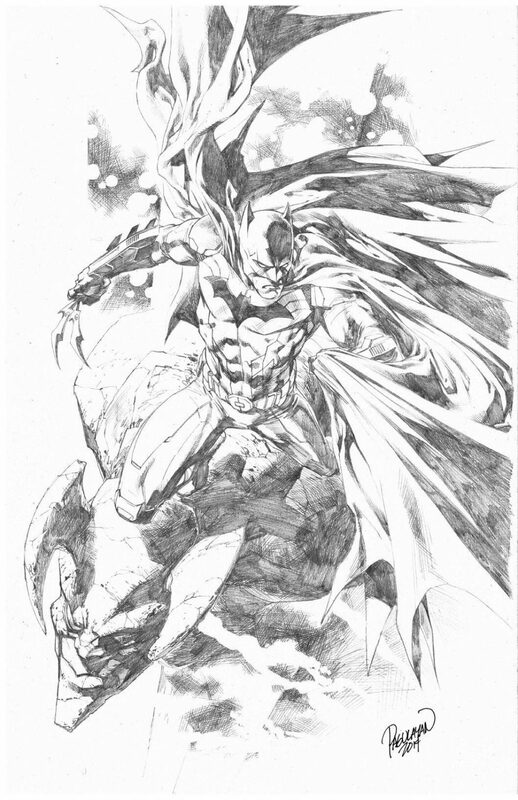 Carlo Pagulayan drew many of the covers for the excellent Batman & Robin Eternal from a couple of years back, as well as the internal art for issue #26. 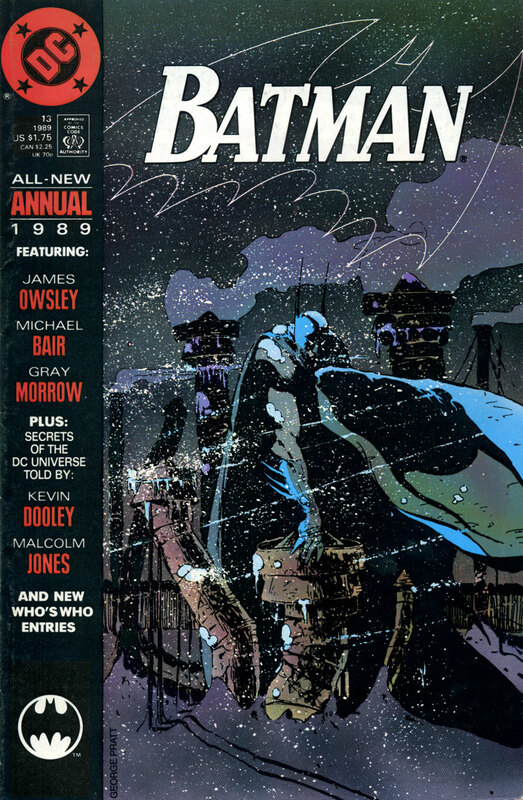 Cover artwork will be provided by the brilliant Lee Weeks; the artist behind the truly awesome Batman/Elmer Fudd special. Will we finally see a victor? Will good triumph over (not totally) evil? Or will be this story be just another thrilling chapter in the ongoing war between two of the greatest combatants in all of comics? Could the fact that Deathstroke has top billing, and that it’s his creative team behind the book have any bearing? I guess that we all just have to wait and see. 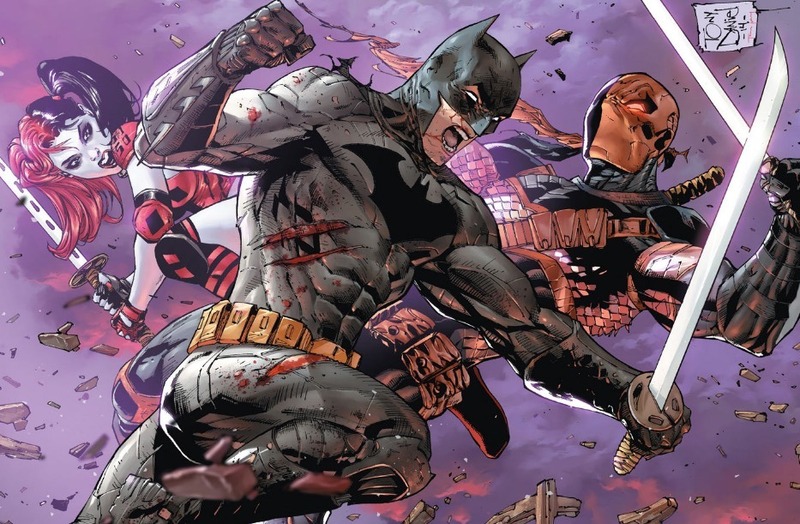 Deathstroke Vs. Batman will be in comic book stores worldwide in April. I don’t know about you guys and girls, but I’ll be ordering my copy ASAP!